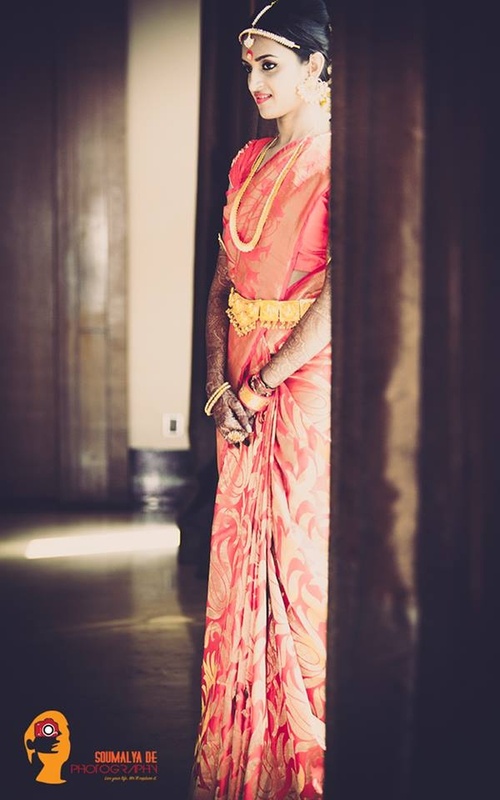 A wedding day can be hectic affair, may be for few, but certainly not for Pratha and Nitesh! They brought their fun side on, in their enthusiastic post wedding photoshoot. While many of us relax, relax and just relax after having a tiring day filled with rituals and ceremonies, this wedding couple had an interesting Bollywood-inspired filmy photo session. 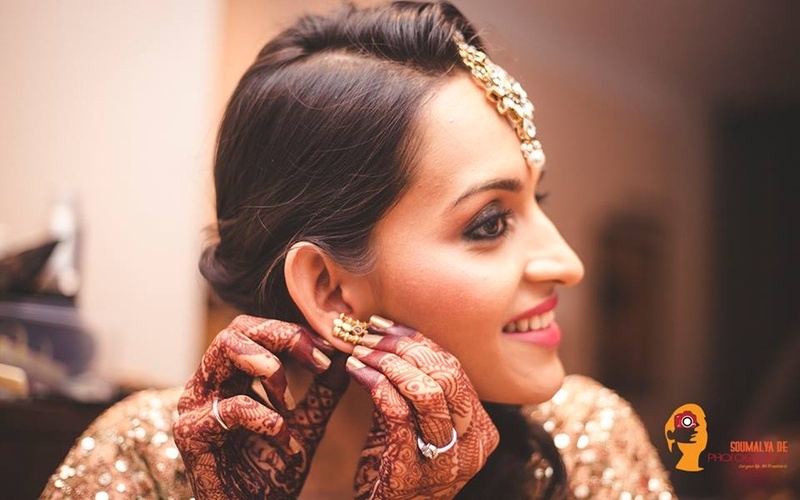 In a classic pose, from the popular movie Kuch Kuch Hota Hai, Pratha pulled Nitesh’s wedding safa with a naughty expression on her face. 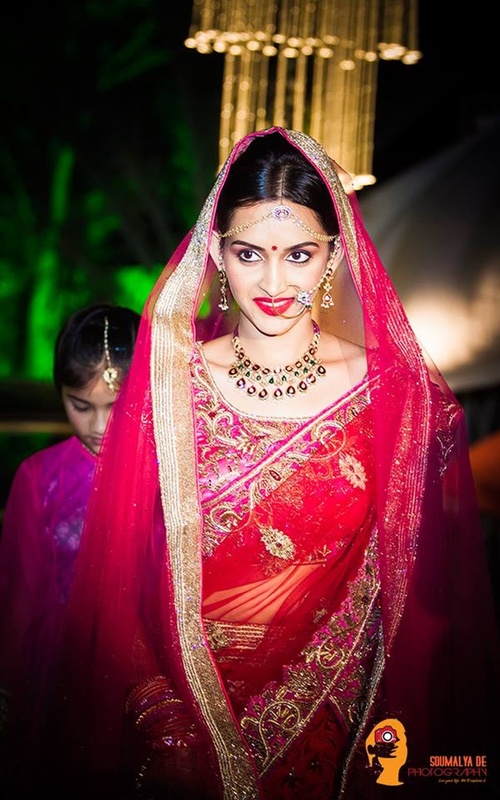 She was dressed in a gorgeous red and pink wedding lehenga with a delicate circular nath and minimal jewellery. Nitesh’s sherwani had rich and prominent patchwork with intricate detailing. 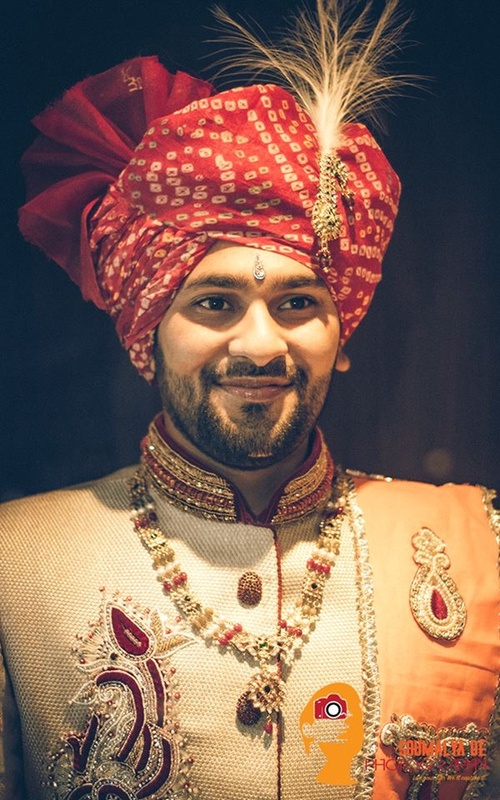 The Maharaja-like haar and the red wedding safa complimented the groom’s whole traditional look. The couple also shared a very romantic kiss, with gold and green wedding décor at the back that added a sparkling effect to their effervescent chemistry. 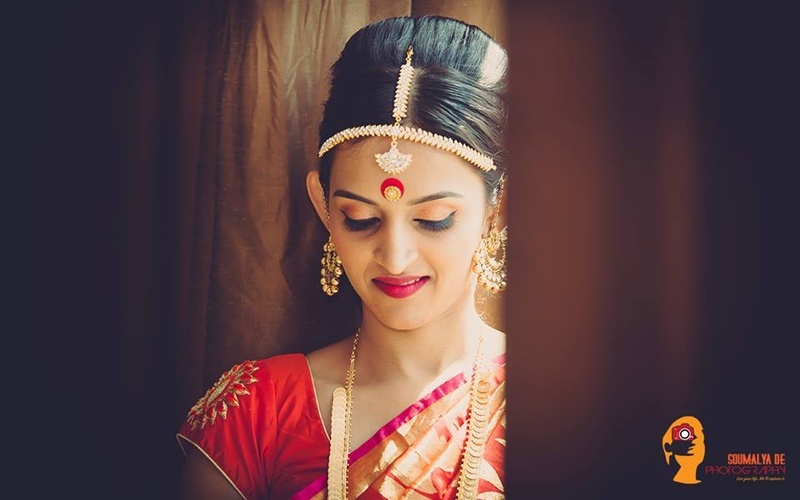 Displaying true flair for wedding photography, Soumalya De Photography clicked some splendid bridal portraits with Pratha dressed in traditional South Indian attire. Here are a few shots of the couple letting loose post their wedding!